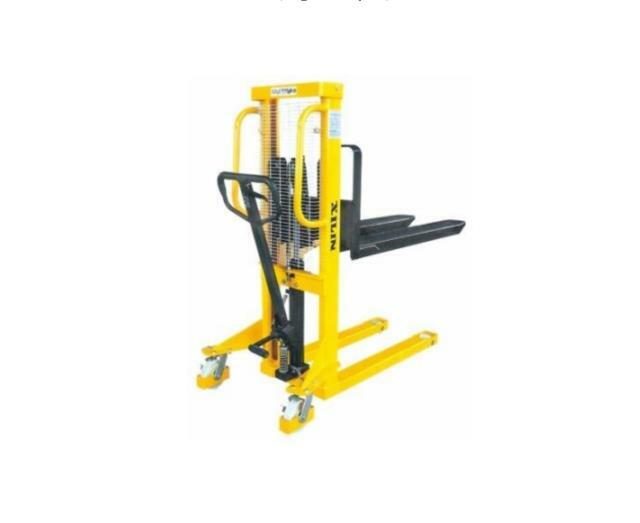 HYDRAULIC STACKER PALLET JACK, 1000 LB. An economical lift to handle tasks from transporting dies and moulds skids and pallets. Precision engineered for smooth performance and exceptional durability. Lifting function operated by foot and hand controls. Allow the operator to work without having to perform extreme body movements. * Please call us for any questions on our hydraulic stacker pallet jack 1000 lb. rentals in Whistler BC, serving Squamish, Pemberton and the Sea-to-Sky Corridor.